Slaying and staying on top of it all. We first saw her in the reality TV show The City a decade ago, working the desks of Teen Vogue as an intern. Years later, Olivia Palermo has made a name for herself as a fashion icon and entrepreneur. She’s maintained a style uniquely her own, feminine and modern, classy and always on point. We’ve loved seeing her out in the streets of New York, be it in workout clothes or signature curated pieces from the best fashion houses. Wrap dresses are hidden fashion classics. Maybe because we often closely associate the wrap dress with our beloved grandmothers, we look at them as a piece too tacky for us to wear. But fear not — wrap dresses are appropriate for both work and for casual days out. Just remember to pick out prints suitable for your own personal style. The wrap dress is exactly as its name implies. Imagine coming out of the shower and putting on your bathrobe, that’s basically how easy it is to wear one of these. Most designs even have ties to keep the dress intact for the rest of the day. There are also faux wrap dresses which have no openings. The wrap dress is so figure-friendly that it will accentuate your beautiful curves in a way that isn’t too revealing but isn’t too conservative either. Olivia Palermo loves mixing feminine and masculine pieces together. Her modern take on the powerful workwear outfit layers floral accents, printed shirts, and sometimes her favorite scarf. Travelling somewhere cold for your next vacation? Don’t want to look bundled up and bothered with all the layers of clothing you’re wearing? 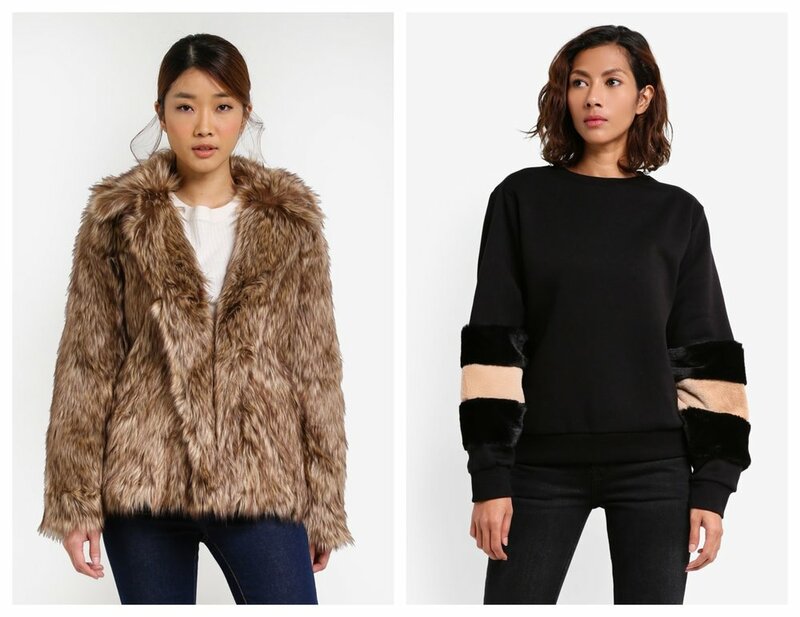 Faux fur can give you the warmth appropriate to keep you comfy and in style. Olivia Palermo loves her faux fur whenever she does work outside the country and basically anything that involves travelling. It’s the easiest way to turn any dull outfit into high fashion in seconds. A bit iffy about wearing all-white or scared of getting it all dirty? We get it. But we’re here to convince you out of that and to go for the all-white aesthetic. But why? Outers are essential for weather-sensitive people like me. I tend to get cold easily, just a couple of degrees below 25. I keep jackets and outerwear on hand just in case it gets too cold to move. Olivia loves structured blazers and bomber jackets to add more dimension and accents to her outfits. She layers them all on top of feminine pieces to add a more masculine touch to her ensembles. Nothing says feminine like an off shoulder top. It’s fun and flirty, as it exposes the shoulders in such a way that doesn’t show off too much skin. The casual feel of the piece doesn’t seem like something Olivia would wear but our girl came through and gave us the girl-next-door outfit we can’t wait to wear. Pair it with your favorite pair of jeans and do it like Olivia, who tops it off with a statement bag you can find in your closet. She even wears it with ballet flats! It’s an outfit appropriate for your days in school or that movie date with your boyfriend. We’re in! Olivia is certainly a woman of style worthy of being called a fashion icon. Here’s some more of our favorite outfits of hers to get you inspired and in the mood for some dressing up.